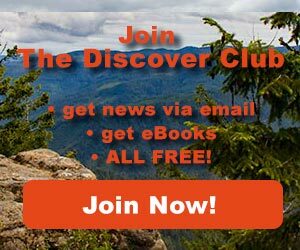 Outdoor News June 1, 2018 - Explore! 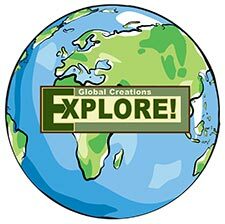 Outdoor News June 1, 2018 - Explore! 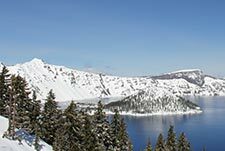 The North Entrance Road and West Rim Drive in Crater Lake National Park opened for travel last Friday afternoon, May 25. Superintendent Craig Ackerman announced that visitors will now be able to drive to and from the park via this popular route and access spectacular views of the lake from West Rim Drive. This is a very early opening for Crater Lake’s North Entrance. Warm temperatures and a low snow pack have resulted in a greatly accelerated spring opening this year. Some snow still remains on the ground throughout the park. Snow depth is greater at many locations around the rim. All trails, including the Cleetwood Trail, are still closed and snow covered. However, it is possible to hike and bike on the parts of East Rim Drive that have been plowed, but are not yet open to traffic. National Park Service snow removal crews are now focusing their efforts on opening other parts of the park. With several feet of snow still covering much of the park, visitors should be aware of potential hazards such as slippery snow patches and falling rocks. Please use caution when driving as icy and snowy roads can still occur this time of year, especially at night and in early morning hours. Steep snowfields still exist at many of the overlooks along Rim Drive, and visitors should use extreme caution to prevent falls. Please stay far back from the edge! Because of the hazardous terrain that exists in the caldera surrounding Crater Lake, travel below the rim is prohibited at all times. 5,000 Miles of Wild is a joint campaign of non-profit and corporate partners including: American Rivers, American Whitewater, Pacific Rivers, REI, Keen, OARS and many more. 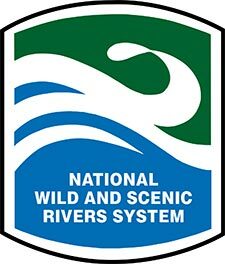 The goal is to protect 5,000 miles of new Wild and Scenic Rivers and one million acres of riverside lands nationwide in homage to the 50th anniversary of the Wild and Scenic Rivers Act. Of the total 5000 miles, 1,500 miles of newly protected rivers will come through federal legislation initiated by grassroots campaigns across twelve states; the other 3,500 miles are coming through federal administrative protections. But the 5,000 Miles of Wild Campaign won’t stop there. The campaign is also using the power of the people to collect and share 5,000 personal stories from around the country, get 500 kids out on rivers (free of charge) and secure at least 500,000 signatures to demonstrate broad support for river protection. Protects land along the river — a quarter-mile protective buffer is established along Wild and Scenic Rivers flowing through publicly-owned lands. The Act recognizes that people and their needs change. The goal is to preserve the character of a river, and engage the local community in its management for the long-term. ANACORTES, Wash. — One of the quietest places in the country is on the Olympic Peninsula, but its serene nature is under threat. Olympic National Park has become a refuge for people looking to get away from the noise pollution of cities. That includes Chuck Nelson, a veteran who moved from Seattle to a secluded location near the park. 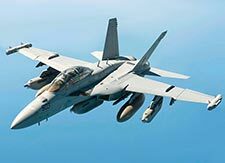 But in recent years, the U.S. Navy has been flying aircraft known as Growlers over the park to their Whidbey Island air station. Growlers are considered one of the loudest planes in the sky. There are about 10-15 flights per day, and more could be coming. For Nelson, that’s a massive intrusion on an area that has acted as a form of therapy as he works through post-traumatic stress from 12 years of service. He talked about the jets’ effect the first time he and some other veterans heard them. 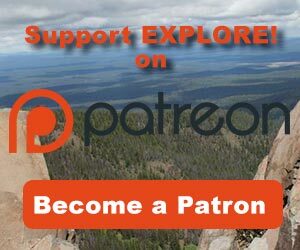 “And this Growler comes over, and those of us that are suffering from PTS were really affected by it – jumping off the trail, taking cover – and it was just a big trigger,” Nelson said. Nelson is joining other veterans asking the Navy to move the training flights somewhere else. He said the Navy has not been very responsive to these calls, but has pointed to cost savings for training at Whidbey Island, as opposed to other locations in the Northwest. Nelson is in a short documentary by the National Parks Conservation Association called “Hear Our Olympics,” which will be screened today, in Anacortes. Rob Smith is the Northwest regional director for the National Parks Conservation Association. He said the park’s Hoh Rain Forest acts as a natural sound chamber. Smith recently measured sound levels at rush hour from his office in Seattle and found they were the same as the noise from a Growler. Otherwise, the forest is 20-30 times quieter. On Wednesday, U.S. Secretary of the Interior Ryan Zinke designated 19 national recreation trails in 17 states, adding more than 370 miles to the national recreation trails system of more than 1,000 trails in all 50 states. On Saturday, June 2, hundreds of organized activities are planned as part of American Hiking Society’s National Trails Day®, including hikes, educational programs, bike rides, trail rehabilitation projects, festivals, paddle trips, and trail dedications. Trails of the National Recreation Trails system range from less than a mile to 485 miles in length and have been designated on federal, state, municipal and privately owned lands. 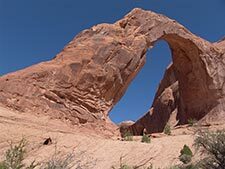 While national scenic trails and national historic trails may only be designated by an act of Congress, national recreation trails may be designated by the Secretary of the Interior or the Secretary of Agriculture in response to an application from the trail’s managing agency or organization. 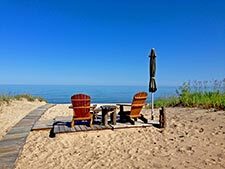 On wednesday, the Michigan Department of Natural Resources and the Michigan Natural Resources Commission announced the formation of an advisory body to identify new collaborative opportunities and further broaden a base of support for outdoor recreation and natural resources stewardship within the state. The Outdoor Recreation Advisory Council is composed of leaders in Michigan’s outdoor recreation business community, reflecting the manufacturing, retail and service sectors, as well as employers in health, community finance and other leading industries. Millions of people participate in some form of outdoor recreation every year, and a recent DNR study found Michiganders spent 2.6 billion days a year engaged in these activities. A national Outdoor Industry Association study states that outdoor recreation generates $26.6 billion in consumer spending each year in Michigan and supports 232,000 jobs. Moving Sale Week at BikeNashbar.com! • Up To 85% Off BikeNashbar Brand Cycling Products at BikeNashbar.com. No Code Needed, Offer Valid 6/5 Only. • Up To 69% Off Closeout Bikes at BikeNashbar.com. No Code Needed, Offer Valid 6/8 Only. • Up To 66% Off Continental Dirt and Pavement Tires at BikeNashbar.com. No Code Needed, Offer Valid 6/10 Only. Guadalupe Mountains National Park holds the tallest mountain in Texas and some rugged wilderness for your exploration pleasure. It also holds some fascinating history. Enjoy!